Planning a 4x4 trip with children in South Africa? - We did it! 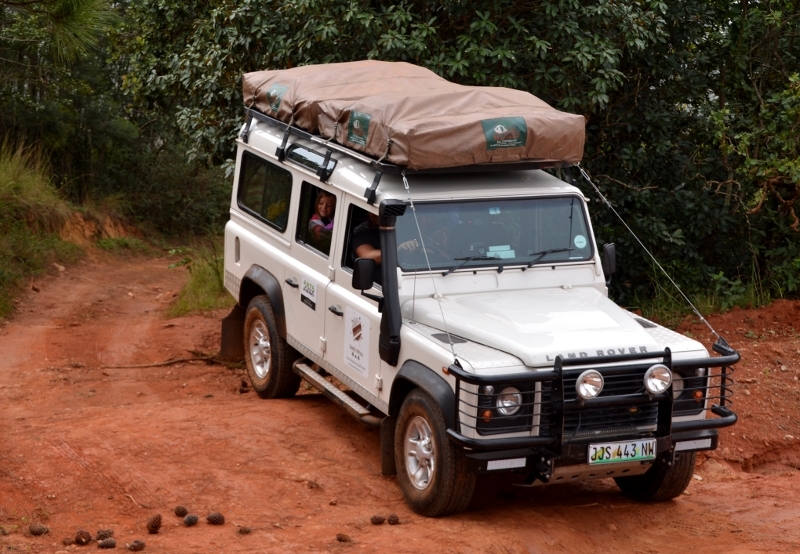 Most families hesitate booking a 4×4 for their family vacation in South Africa. Excuses like “Our kids are too young!”, “It’s too dangerous.” “How should we sleep comfortable in a tent on top of the car?” occur and so most families don’t go an a 4×4 trip with children in South Africa. We tried it with our 3 and 5 year olds. You’ll miss the trip of your life if you don’t give dirt, tents and animals a try. If you travel with your family safety is of highest priority. Kids need to have a good car around them so elephants, tigers and normal roads can’t harm them. A 4×4 is a massive vehicle with which you won’t get stuck in mood or have problems on normal roads with deep potholes. South Africa is well known for its’ stunning nature. The Golden Gate Highlands National Park has colourful mountains, lush bush and zebras around the corner waiting for you to drive by. Picnic places are on every corner, but having a yummy picnic is only possible if you have all the equipment with you. Chairs, table, a fridge and all the household staff are stored in boxes in your 4×4. 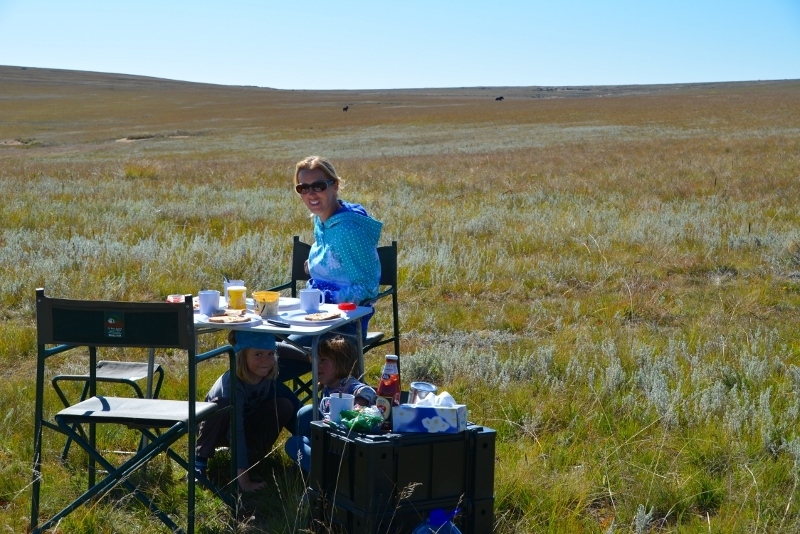 We had fantastic picnics at breathtaking places in South Africa and Swaziland. It wouldn’t have been possible with a normal car. Some kids still take a nap during the day. Setting up the tents is done in 3 minutes so you can lay down with your baby and nap – no matter where you are. We often had no clue how long we’ll be able to drive without moaning kids in the back. As soon as they didn’t want to drive anymore we looked for a place to sleep. Once we found a beautiful lodge with lions and were able to camp there for only 100 ZAR (8€). As a parent it’s mostly about raising kids and not about your own fun. We found out that driving through a river on a 4×4 trip with children in South Africa is an experience both parties don’t want to miss. The kids loved it and daddy smiled for the next hours. In Kruger National Park some roads are only for 4×4, whereas 80% of all cars are normal ones. The chance to view animals there are much higher than anywhere else. What an amazing adventure. I can’t even imagine doing something like this as a child. They will remember it forever. 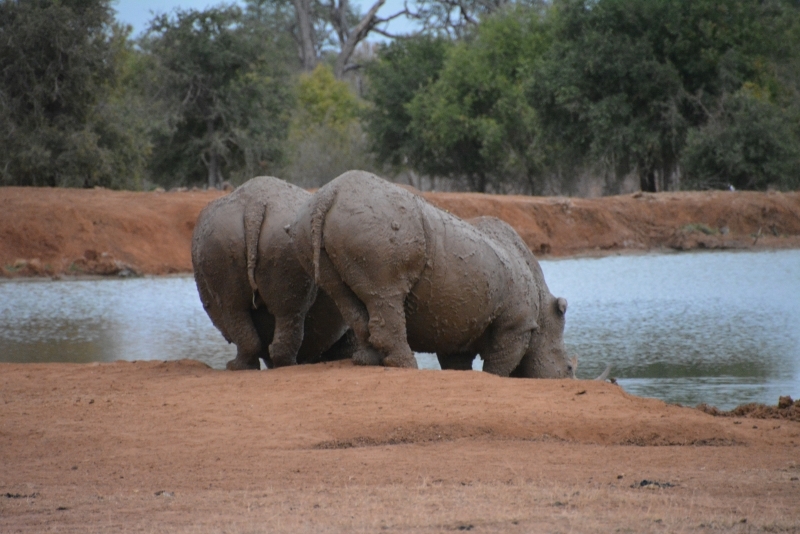 That final photo of the Rhino’s bums is fantastic. haha! Katie Featherstone recently posted…Friday Fix: Kew gardens (part 1). Good thing I came across this site. I do love South Africa too. 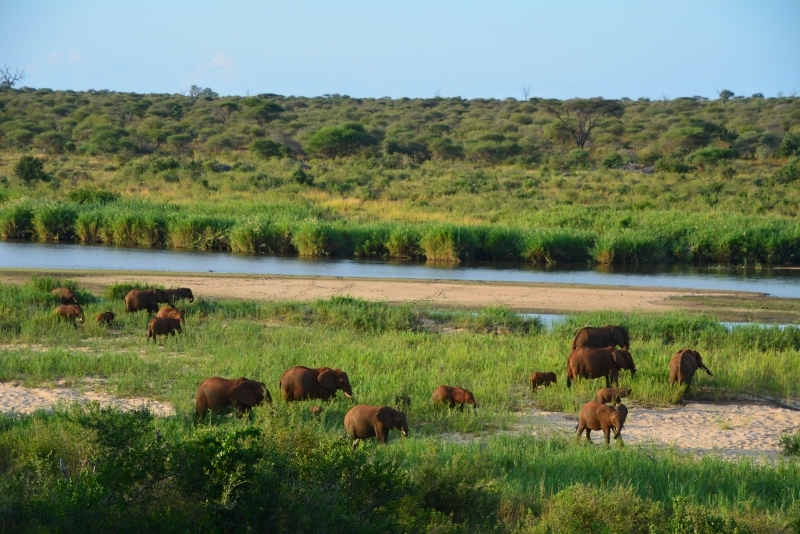 It is marked by several distinct ecosystems, Inland safari destinations and etc. This place is good for the kids. Thanks for sharing. Thanks a lot! I really love South Africa!